How do I download receipts for previous payments? Note: This action can only be taken by Account Owners or users with "Can view and manage billing settings" permission enabled. Read this article to learn how to give proper permission to other users so they can download old receipts of the account if needed. 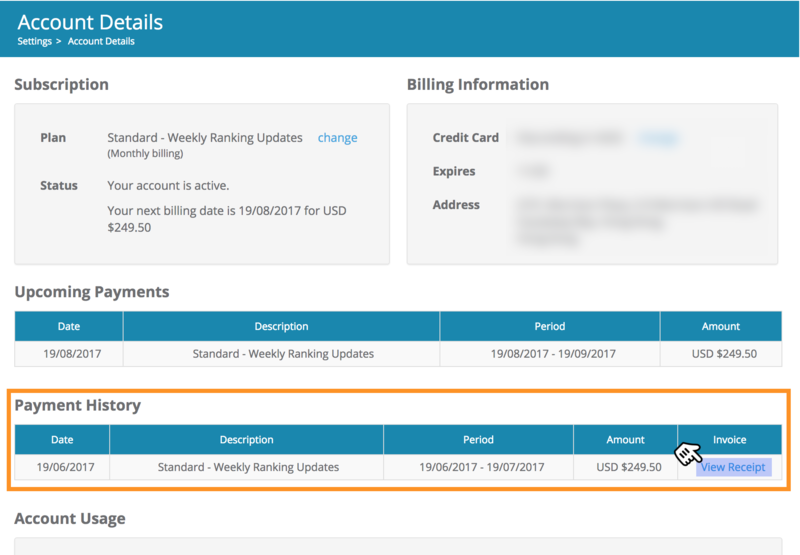 Inside Account Details page, find the Payment History section, where all old payments will be listed here. Click on the View Receipt link to download a PDF receipt file for that particular payment you've made. By default whenever a payment occur, our system will also send a notification Email to the account's owner and all users with access to Account Details page with the payment's receipt attached.